When Top security commenced trading in 1979 few reckoned on it becoming the trend setter and industry leader which it is today. Organic growth, geographic expansion, acquisition and innovation have seen Top security expand into Southern Africa, the UK and Canada and become the leading indigenous provider of security services in Ireland. 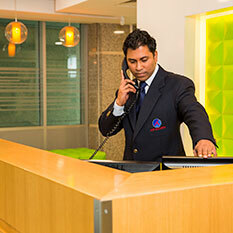 Top Security launches their Recruitment & Employment Agency Top Recruitment. 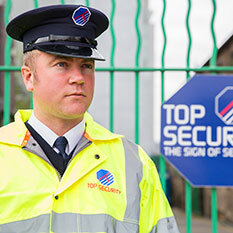 Top Recruitment, which is part of the service offerings of the The Top Security Group, specialising in sourcing and providing clients with a range of skilled and semi-skilled operatives for the construction, manufacturing and warehousing industries. Top Security, the first security provider in Ireland to secure a permit from the Irish Aviation Authority to use drones or remotely piloted aircraft systems for its operations. The drone service was launched to protect client buildings as well as large outdoor areas like reservoirs, building sites, quarries, agricultural land and ghost estates. Video and cameras installed on the drone stream high quality footage and images in real-time back to the company’s control centre where it is speedily checked against previous footage for suspicious activity. The drone service gives air support to the mobile guard patrols, monitoring areas that are relatively difficult for security guards and mobile patrols to access quickly like large outdoor sites or the building rooftops. 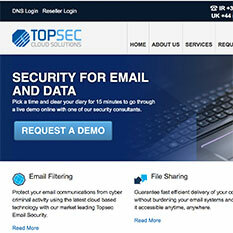 Top Security launched the world’s only secure email service provided by a security company in 2006. A service designed to protect the privacy of ordinary email users. On the basis that, just as in the real world, all security problems start and finish with people, Top Security Founder and Chairman, Emmet O’Rafferty developed a product that was years ahead of its time. Emmet’s vision for Topmail was an email service that was clutter free and secure, one that valued privacy and that would be available and affordable to everyone around the world. Today Topmail provides secure email services to private individuals in over 20 countries around the world. In 2007 Topmail launched version Two. 2014 Topmail acquired the domain name Topmail.com and launched version Three. Top Security launched a revolutionary personal security service to extend the function of a mobile phone to a security device and panic alarm. The service, entitled TopLocate, was launched to bring increased peace of mind and security to millions of phone users in Ireland. TopLocate was aimed at parents, the elderly, lone and shift workers, late night revellers, people who travel late at night and outdoor sports enthusiasts. Ahead of its time it used a variation of mobile, landline and web technology to provide a comprehensive range of security alerts, which could be activated in any situation and any location. Top Security once again a trendsetter, launched the first online home insurance shopping tool, rewarding homeowners who had monitored alarms. Recognising the additional security a monitored alarm provided, a discount of up to 35% was applied to all residences monitored by Top Security’s monitoring stations. The service, which at the time was accessed through the Top Security website, allowed visitors to obtain multiple home insurance quotes and to buy online from the leading insurers in the Irish market. Today, most insurance providers provide these rewards. In 2002 Top Security entered the Electronic Systems sector of the industry by acquiring DeJay Royale the oldest system installation company in Ireland. This was quickly followed by the acquisition of Napier Alarms, Whelan Alarms, Elite security and Nab Alarms. These businesses were amalgamated and commenced trading under the two separate brands, DeJay Royale and Whelanapier. Top security established Topsec Technology, a business providing cloud based web and email security services to it’s customers. By doing so Top security became the first traditional security business operating in the physical world to enter the virtual arena. Today the demand for these services is well established. Top Security acquires Proactive Protection (pty) Ltd in Johannesburg. A provider of guarding services with over 1500 employees Proactive was the platform the South African business was built on. Today Top Security provides Installation, Monitoring, Response and Guarding services to our clients in the Province of Gauteng. Making history, Top Security went on to be the first independent Alarm Receiving Centre (ARC) to be approved by the National Standards Authority of Ireland (NSAI). Obtained Ireland’s first ever private radio license for commercial alarm monitoring purposes. Today through a series of repeaters from our Cork and Dublin ARCs Top security provides nationwide coverage offering end to end resilience for our monitoring customers in the event of a communications breakdown. Top Security acquired RME Central Control Center and shortly thereafter relocated it to a new purpose built state of the art Alarm Receiving Center. It was the first independent ARC to be approved by the National Standards Authority providing Alarm and CCTV monitoring sevices. 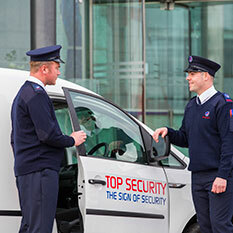 Since then Top Security have provided services to in excess of 100,000 businesses and homes throughout Ireland. It was not long before demand from existing customers was the key driver in establishing an office in Cork. The demand in the Munster area was such that we subsequently built our second independent Alarm Reveiving Center making Top Security the only Company with fully licensed ARCs in Ireland. Today Top is by far the dominant provider of monitoring services in the Munster region. Emmet O’Rafferty set up a small security business in 1979, working alone as a Doorman and Security Officer providing traditional manned guarding services and key holding services to Clubs and Businesses in Dublin City. His first customer was A J McMahon, a business in Ringsend. Emmet juggled work with his rugby career, often working 24 hours a day, until the business started to grow and Emmet recruited 4 other Security Officers to work along with himself. From the humble beginnings of one man working alone, little did the Top Security Founder envisage that the company would go on to become the foundation of what is now the Top Security Group, the largest indigenous security company in Ireland with International Offices in the UK, South Africa and Canada employing over 2,000 people across the organisation.